Ely-based Ca$hBack play the music of Johnny Cash and recently commemorated the 40th anniversary of the legendary Folsom Prison concert which took place on January 13th 1968 by playing a concert inside Highpoint Prison, Suffolk on January 13th 2008 – 40 years to the day after the original concert. The gig was a big success. There was tremendous media interest in the Highpoint concert. Here is a selection of the radio interviews. Yet another news item on BBC’s Look East about Ely. A columnist in this month’s edition of The Oldie magazine claimed the cathedral ‘never stops asking for money’ and that staff are ‘snooty and grasping for money’. It costs £5.20 to enter the cathedral for tourists, but Look East forgot to mention that residents of Ely are entitled to an annual pass for free! Do you think you should pay to enter a place of worship or is Ely Cathedral just seen as another money-grabbing tourist attraction? http://elyonline.co.uk/wp-content/uploads/eol-logo-1.jpg 0 0 Karl Bedingfield http://elyonline.co.uk/wp-content/uploads/eol-logo-1.jpg Karl Bedingfield2007-08-20 05:52:562007-08-30 18:52:55Ely Cathedral. Too Expensive? BBC’s Look East ran a short news item on the reopening of the stretch of waterway closed due to the train derailment. We have included it here for all to view. Although I am not sure if Network Rail’s Kate Snowden realises that we are still compelled by law to measure road distances in miles going by her comment: ‘We had to build a temporary road that was over a kilometre long’. Back in June we ran a brief article when the BBC visited Ely for a segment on their tea-time show, The One Show. That was aired recently at 7pm. Many of you probably didn’t get to see it so you can now view it at your leisure. Recently I decided it was time to purge my old videos having amassed far too many over the last 20 years – it appears I recorded everything! As a typical male I didn’t label any video so I had to play every tape to see what was a ‘keeper’ and what was destined for the dustbin. As it turned out my magpie tendencies led me to stockpile a load of junk video recordings. There were highlights, one being a 3 hour video of footage from a long forgotten festival affectionately known as ‘Redmere’. Redmere (six miles from Littleport) Festival was the brainchild of Mick & Lee Gillett who, at the time, were heavily involved in the Ely Music Scene with their own band Wild Party Productions. Redmere highlighted local talent – established as well as new bands. It was one of the new bands that stole the festival and the sad thing about their performance is not many people saw them. The festival was poorly attended and the band played two early afternoon slots, far too early for the masses that arrived later for the headliners. The band in question was Soham’s Nutmeg. Nutmeg, in 1986, were a raw 60’s influenced garage band with a singer that had so much energy that you really need to watch the footage to comprehend. Two rail trucks full of ballast were left dangling over a bridge crossing a river in Cambridgeshire after a train derailed during the night. The rail line, mostly used by freight trains, was closed near Ely station but no-one was hurt. Eleven of the EWS train’s 37 trucks fell on to their sides with two hanging over a bridge over the River Ouse. One Railway services from Peterborough to London have been affected and an accident investigation is under way. The bridge was damaged by the derailment so the River Ouse was shut to river traffic and a path was sealed off for safety reasons. Two teenage sisters found dead in their own home died from stab wounds, allegedly inflicted by their 39-year-old mother it has emerged. The mother was arrested on suspicion of murder at the family home in The Crofters, Stretham, at 8am today. Here is last night’s BBC Look East coverage. Last night the BBC aired the first episode of their landmark series, How We Built Britain. The first episode featured Ely Cathedral. In the Middle Ages, the East of England was the richest corner of the nation and the Norman conquest of 1066 led to the first construction boom in our history. The visionary Normans used their building skills to demonstrate their power over the local population. Ely Cathedral would take 300 years to complete, with its intricate stonework and majestic nave. But 1,000 years later it still towers over the Fens. David joins modern-day stonemasons as they restore the cathedral, and embraces tradition by leaving a time capsule – including TV schedules and a Mars Bar – for future generations to discover. Ian Brown of the Stone Roses once remarked, “It’s not where you’re from (that matters) it’s where you at.” Well, I think he was half right. With Crossland it may have been more a case of, “You can take the band out of Ely. But you can’t take Ely out of the band”. We got close. But close to what? In early 1989 there were a number of guitar bands (REM, the Pixies, House of Love, Wonderstuff) kicking out against a mainstream of advancing rave culture, depressing Stock Aitken Waterman pop pap and a quagmire of unmentionable bland brand names doing the stadium circuits. Plus ça change… So, on joining Crossland I thought, “Great, I’ve found a bona fide guitar band!” At last there was hope for the local music scene! Here is the final feature that made up BBC’s Countryfile episode from Ely. Not many people know that in 1944 the Oxford and Cambridge Varsity Boat Race was raced on the River Great Ouse. It was the it’s the only time the boat race has not been held on the Thames in its 150 year history as the country was still in the grip of World War II and London was deemed unsafe for such an event. The race was won by Oxford despite Cambridge being ahead early in the contest. The feature has an interview with Martin Whitworth, one of the eight that made up the Cambridge crew of 1944 along with interviews of the current team . In our third instalment featuring video from the BBC’s Countryfile in Ely episode we present what was arguably the most interesting segment of the show featuring Ely’s one and only remaining eel catcher, Peter Carter. Peter Carter uniquely tells how eels are caught still using the same traditional traps that were used throughout his family for centuries. The segment ends with a trip to Ely’s ‘Old Fire Engine House’ to see how this highly regarded restaurant prepares eels for it’s customers. Ely was once known as the ‘Isle Of Eels’ a translation of the Anglo Saxon word ‘Eilig’. It was named so because of Ely’s early history based around the trade of eels, indeed the segment states that the Domesday Survey of 1087 (The domesday book, prepared in 1086 at the order of William the Conqueror, gives a detailed and comprehensive picture of transition from Anglo-Saxon to Norman rule over England.) stated that 52,000 eels were caught on the river Ouse in one year alone. Later documents record many thousands of eels being supplied to the monarch and other wealthy customers in London and elsewhere. The final instalment will feature a little known story on how Ely hosted the Cambridge/Oxford boatrace during World War 2. Earlier in the week we published video of Ely Cathedral from BBC’s popular rural program Countryfile, that was based in Ely recently. As promised here is the second segment featuring the wetland reserve at Wicken Fen. Four hundred years ago the cathedral city of Ely was an island surrounded by wetlands but all that changed when the fens were drained to create farm land. Now the National Trust is hoping to reverse that trend by acquiring agricultural land to extend Wicken Fen and thus restore this traditional habitat. Wicken Fen is one of the last remaining undrained fenlands in East Anglia. The reedbeds, fen meadows, sedge fields and scrub offer a superb range of habitats for the 7000 species that live here. 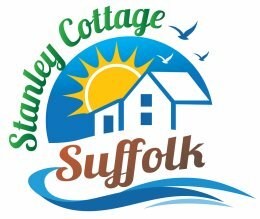 A visit to the Fen Cottage takes you back to the turn of the 20th Century. There is a 3/4 mile boardwalk for easy year round access and a raised dipping pond for wheelchair users and toddlers. Last week, BBC’s popular countryside and environmental show ‘Countryfile‘ themed a whole episode from Ely. The show started with a fascinating interview with Ely Cathedral curator, John Webster. The interview can be viewed below. Over the next few days we will also bring you Countryfile’s features on Wicken Fen, Eel Fishing and Ely’s association with the Cambridge/Oxford Boat Race. East Cambridgeshire District Council’s Planning Committee has today approved a landmark lighting project for Ely. ‘Sluice’ is a major artwork by Lulu Quinn, and has been commissioned by visual arts agency Commissions East. Utilising light and new technology, it will further enhance an important area of public space along the River Ouse by creating a new cultural attraction for visitors and residents to visit and admire by the Maltings. The four-metre high steel sluice replica will project light images of water ebbing and flowing in synchronisation with the real river flow using data gathered from Norfolk’s Denver Sluice by the Environment Agency. There will also be actual sounds of water from speakers built into the structure as well as blue and white lighting to animate the artwork. Alison Callaby, Team Leader – Town Centres at East Cambridgeshire District Council, said: ‘Sluice’ is a unique artwork commission for Ely’s riverside, highlighting as it does the link between water management and the physical environment. 1984: Arcade games such as Space Invaders, Galaxian and Donkey Kong were worldwide hits but one enterprising local businessman decided to ignore that trend and bring the excitement of lawn bowls to the table. Ladies and Gentleman I give you Jack High Table Bowls! It’s as near outdoor bowls as you are going to get. Look East’s cameras visited Little Downham’s Anchor Pub and interviewed some regulars on their views of Jack High Table Bowls. Many people will recognise the faces in the film, indeed my own brother Neil can be seen along with Ian Kidd, Nicholas Atkinson, but can anyone identify any of the other regulars? Leave a comment if you can. This week’s video is is an early incarnation of The Traceys. Donald Elsey’s Big Decision enjoyed the patronage of Malcolm McLaren after using a sample of his voice on their vitriolic attack on the music industry, Just Music. Former vocalist/guitarist was also in the recently disbanded Beach Blanket Bingo. The video was filmed and edited by Mick Gillett for the Demonstration Station in the early 90s.